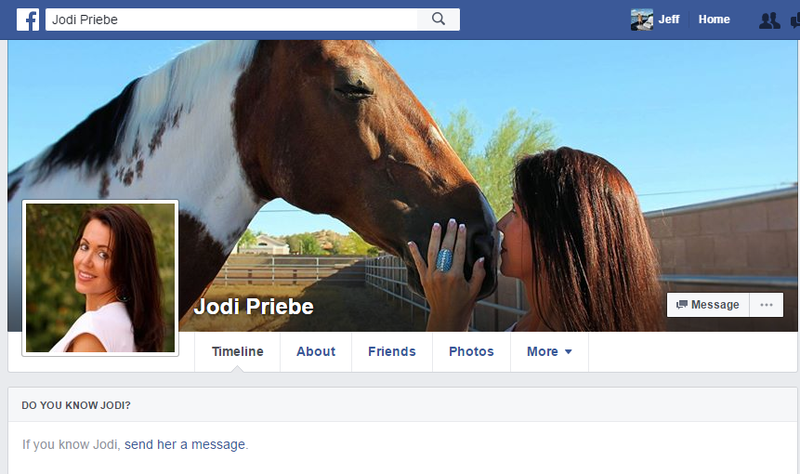 Jodi Priebe from Arizona, has checked in at University Animal Hospital AZ, sends hateful message to the father of a child killed by pit bulls. 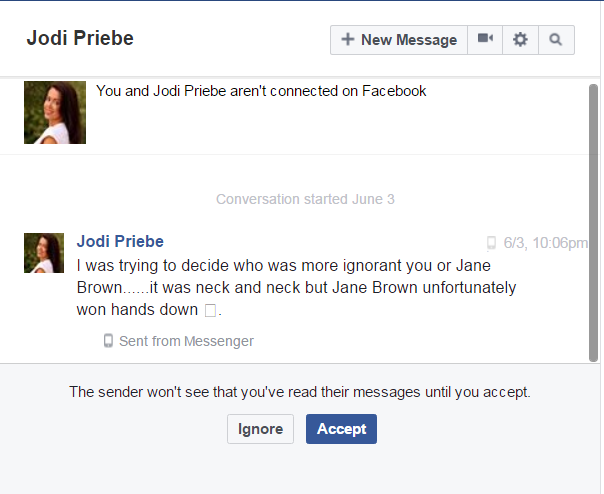 Stop by Jodi Priebe’s Facebook page and let her know how you feel about this. This entry was posted in hate mail and tagged Arizona, Hateful messages to pit bull attack victims, Jodi Priebe, University Animal Hospital AZ. Bookmark the permalink.